A Harris County Sheriff's deputy conducting a traffic stop on I-10 at Mason Rd. 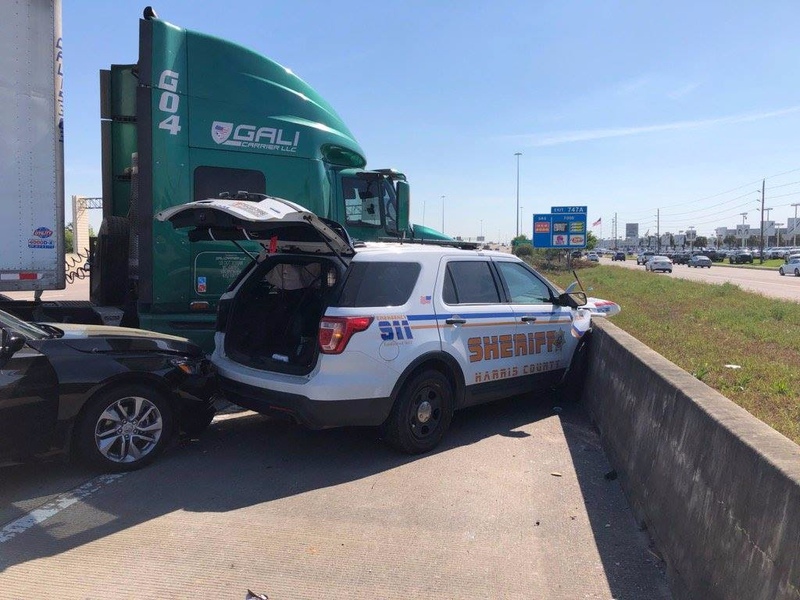 suffered a minor elbow injury while dodging an 18-wheeler that crashed into his parked patrol vehicle and another car this morning. Holy crap! he's lucky to have survived that.